The BHA (British Hospitality Association) is the leading agenda-setter and members’ organisation for the hospitality and tourism industry. The BHA represents over 40,000 hotels, restaurants, clubs, food service, attractions, serviced apartments and leisure companies for UK residents and overseas visitors. The association wanted to transform their traditionally printed annual research report for researchers / members and decision makers into a digital format. Compiled by Oxford Economics, the report is a comprehensive assessment of the hospitality industry’s economic contribution across the 391 local authorities in England, Wales, Scotland and Northern Ireland. 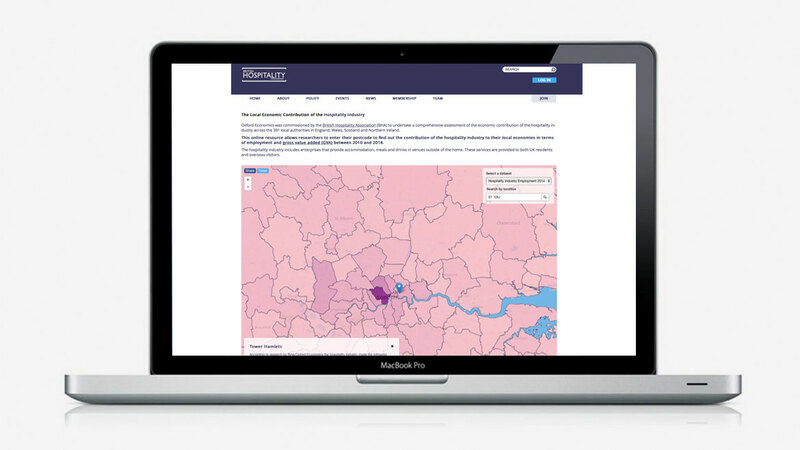 BHA were looking for a solution that was interactive, easily accessible and fit for purpose for the future . 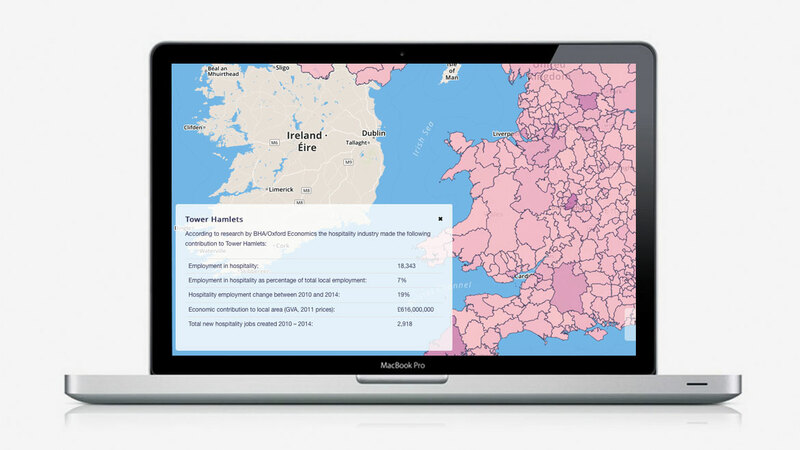 This online resource allows researchers to enter their postcode to find out the contribution of the hospitality industry to their local economies in terms of employment and gross value added (GVA) between 2010 and 2014. The hospitality industry includes enterprises that provide accommodation, meals and drinks in venues outside of the home. These services are provided to both UK residents and overseas visitors.